But how do YOU say it? One of the challenges of learning Arabic is its diglossic nature. The fact that two languages or different varieties of a language coexist – with one form used for writing and another, quite different, for conversation – can make life hard for would-be students. For those wanting to learn the spoken dialects, it is difficult to find written resources and they must rely largely on speakers of the language, which you just can’t buy and take home. 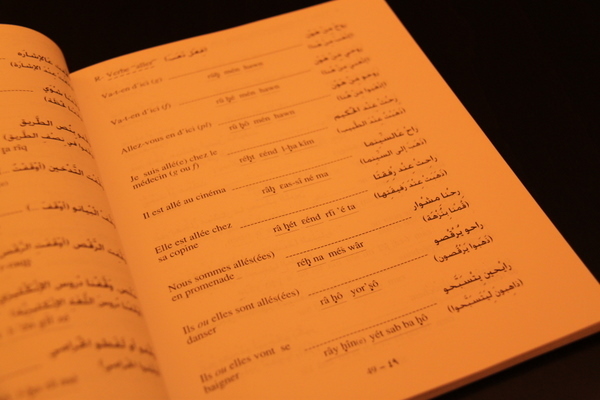 For those wanting to learn the written language, it is hard to get the oral practice one is used to in other languages. 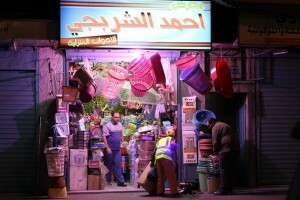 Standard Arabic may be heard in radio or television monologues but it is often mixed with some colloquial terms and is never “pure” in dialogue. Defining diglossia appears simple enough. However, the perspective of a native speaker on these two varieties is by no means as clearcut. A strange hierarchical nature exists between the two which can affect a speaker’s perception of what and how s/he speaks. 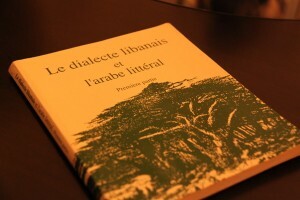 I have often noticed that when I ask an Arabic speaker how they say a certain word in colloquial Lebanese, they tell me the (often very different) Standard Arabic word. It sometimes takes some prodding to get them to tell me the word they use on a day to day basis, the one you would expect to trip off their tongue first. I was fascinated to discover recently that this tendency is actually documented. In all the defining languages the speakers regard H [the "high," or superposed variety] as superior to L [the "low," or colloquial variety] in a number of respects. Sometimes the feeling is so strong that H alone is regarded as real and L is reported “not to exist.” Speakers of Arabic, for example, may say (in L) that so-and-so doesn’t know Arabic. This normally means he doesn’t know H, although he may be a fluent, effective speaker of L. If a non-speaker of Arabic asks an educated Arab for help in learning to speak Arabic the Arab will normally try to teach him H forms, insisting that these are the only ones to use. Very often, educated Arabs will maintain that they never use L at all, in spite of the fact that direct observation shows that they use it constantly in all ordinary conversation. Similarly, educated speakers of Haitian Creole frequently deny its existence, insisting that they always speak French. Even where the feeling of the reality and superiority of H is not so strong, there is usually a belief that H is somehow more beautiful, more logical, better able to express important thoughts, and the like. And this belief is held also by speakers whose command of H is quite limited. To those Americans who would like to evaluate speech in terms of effectiveness of communication it comes as a shock to discover that many speakers of language involved in diglossia characteristically prefer to hear a political speech or an expository lecture or a recitation of poetry in H even though it may be less intelligible to them than it would be in L.
He gives the examples not only of Arabic and its dialects and Haitian Creole but also of modern Greek and Swiss German. The essay which quotes Ferguson makes a number of other valid points and is worth reading in full. The latter half highlights that both pure colloquial and pure standard Arabic rarely exist in spoken situations, existing as a continuum where one fades imperceptibly into the other and even the opposing poles are tainted. It also discusses the effect of diglossia on native speakers’ perception and appreciation of literature. In addition, it points to the advantages of diglossia noting that when Latin effectively died Europe lost many cultural resources as well as the possibility of cross-border communication with communities in a much more extensive geographical area. Qu’un Français et un Coréen puissent, en se retrouvant, s’exprimer l’un et l’autre en anglais [...] c’est sans doute un progrès par rapport au passé; mais qu’un Français et un Italien ne puissent plus se parler qu’en anglais est indiscutablement une régression, et un appauvrissement de leur relation. Amman, once the capital of the Ammonites, is a city of hills. Inevitably, then, it is also a city of steps, in long steep flights linking modern and old neighbourhoods, and a city of massive walls holding back the hills, keeping centuries of masonry from sliding into the valleys. Like a children’s drawing with no sense of perspective, or a monochrome Hundertwasser, the houses seem to be somehow piled on top of each other on the steep hillsides and the composition is obscure. We swing along the Damascus Road down through the Beqa’a Valley with Fairuz blasting out of the bus’ speakers: khidni wa zraani bi arrid Libnan (take me and plant me in the land of Lebanon). The speakers fail to render her many high notes which splurge out saturated. In fact the sound is not altogether dissimilar to the coach’s singsong horn, which blurts out frequently as we barrel downhill, overtaking, and crawl uphill, being overtaken. The lady behind me taps me on the shoulder and hands me a gardenia blossom. Its rich heady scent fills the bus, mingling with the driver’s cigarette smoke and the mint leaves in my rolled labneh sandwich. After a very short night, not even the triple overtaking on blind bends or the subsequent near collisions and horn-leaning can keep me awake. I’m lulled off to an Arabic cover of Gloria Gaynor’s “I will survive”, until we are ushered off the bus for customs formalities.